Precision Speed case cutting jig with high impact plastic guard for 300 Blackout and others with similiar case length. 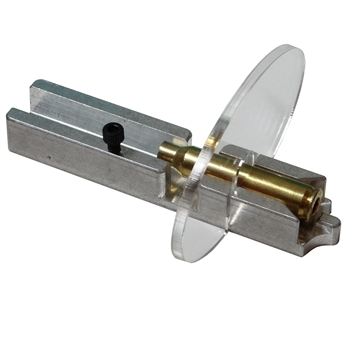 Affordable and precision products is what our company is known for and this is one of our many quality products with a price that is unbeatable. Designed for speed, this model features a blade depth stop so you don't have to watch your blade depth, great feature when you are in a hurry. 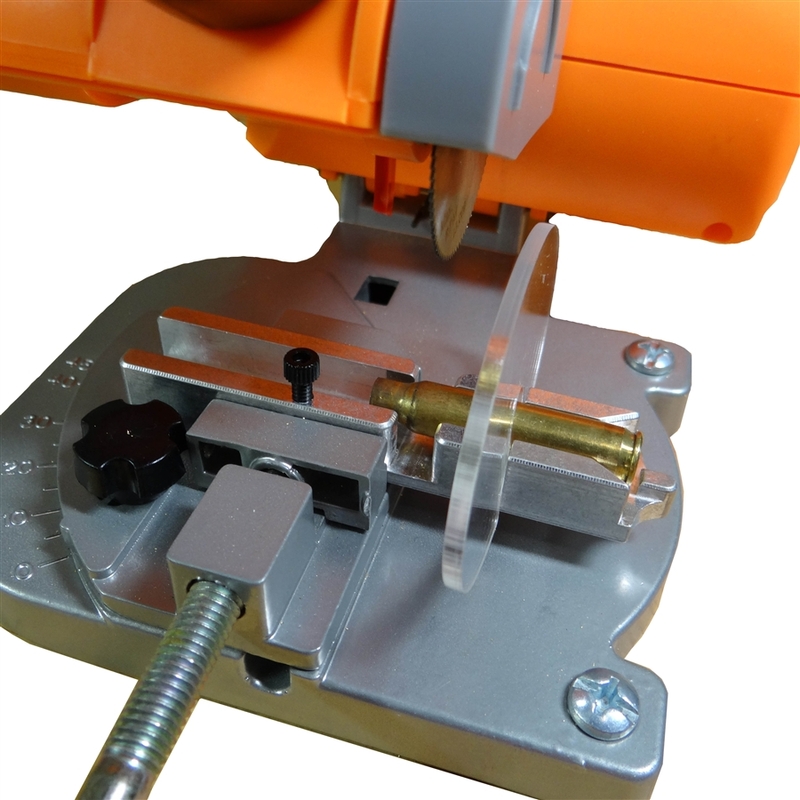 Our 300 Blackout Quick Slide (tm) Cutting jig is simple and easy to use, so simple you just push the case in and start cutting. As they are cut simply push another case in, our easy to use Quick Slide (tm) case trimming fixture can be seen in the video. Clear guard is placed so it does not interfere with your hand, and it can be easily removed. The cartridge rests upon a boss that is tapered to correct angle and radius to match the case. 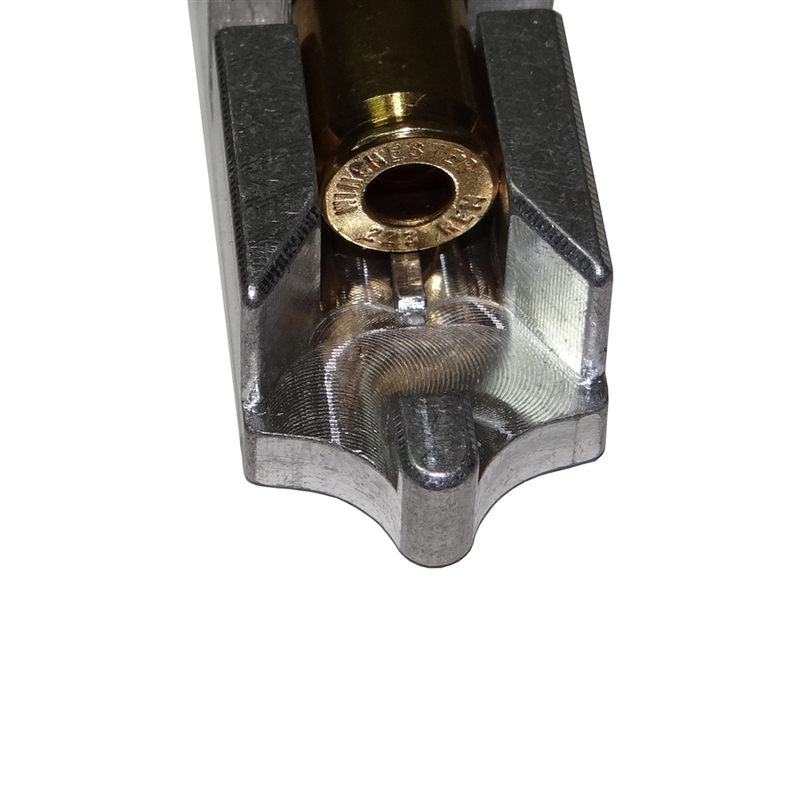 Saw and brass cartridge are shown for demonstration purpose only and not included.